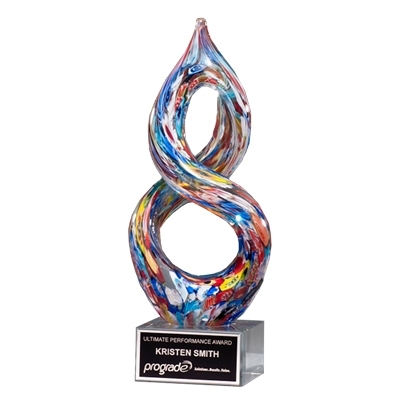 The Helix Multicolor Artistic Award features swirling colors rising to a joined peak. This artistic piece rests on a clear crystal base. Your custom text and logo are laser engraved on a black and silver metal plate and placed on the front of the base.